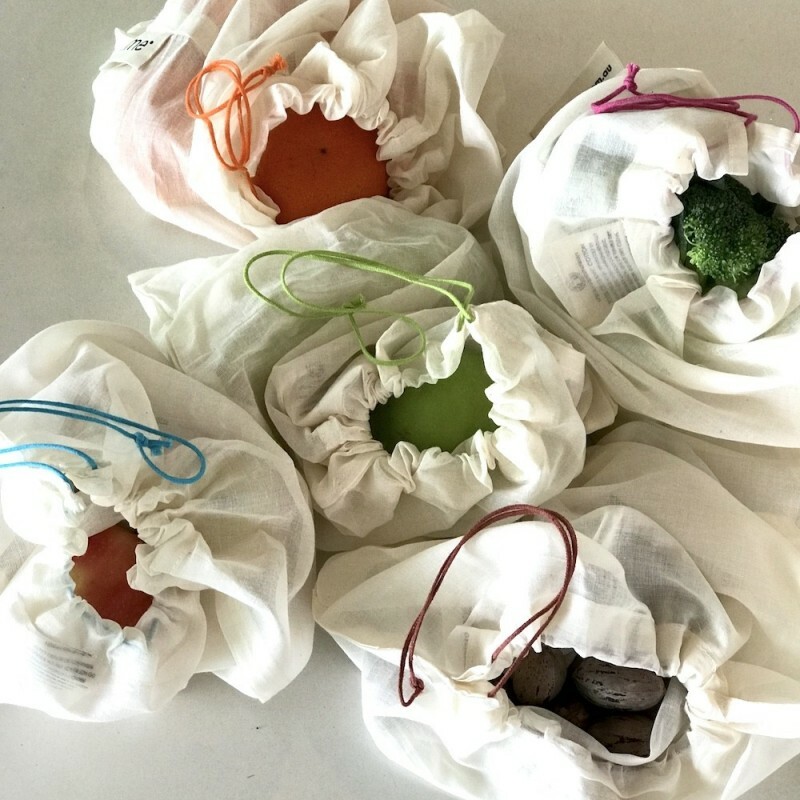 Five lightweight reusable produce bags with coloured drawstrings in a handy drawstring pouch. GOTS certified organic cotton. 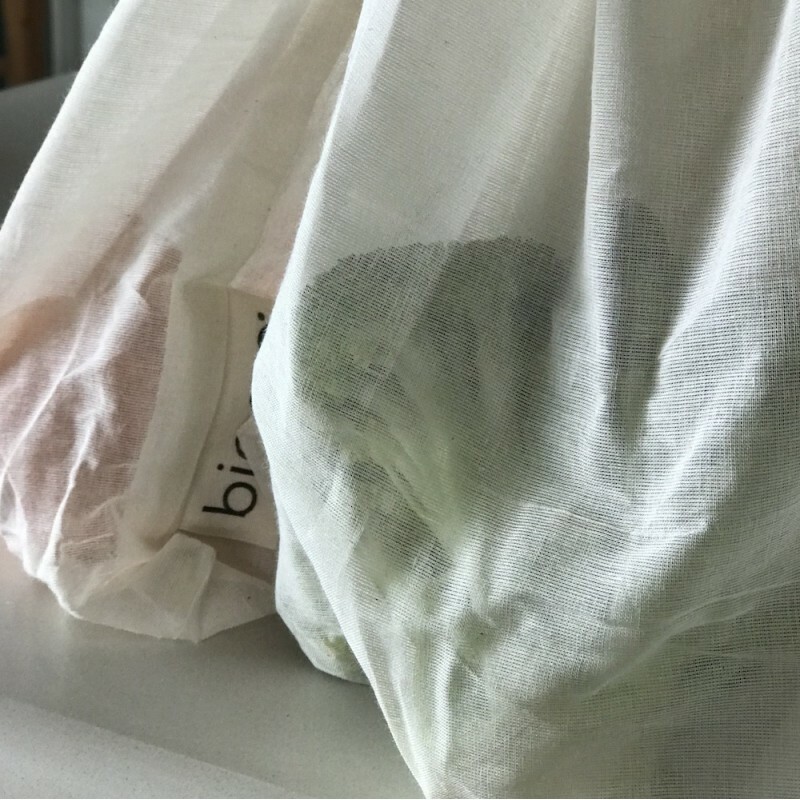 Specially designed by Biome to give you a produce bag alternative that weighs very little as most cotton fabric bags are heavier than synthetic nylon mesh bags. Slightly see-through fabric. Multi use for home and travel. At 30 x 30cm, they are larger than many produce bags. Plastic free shopping bags to avoid plastic fruit and veg bags. Compostable, as they are 100% cotton. 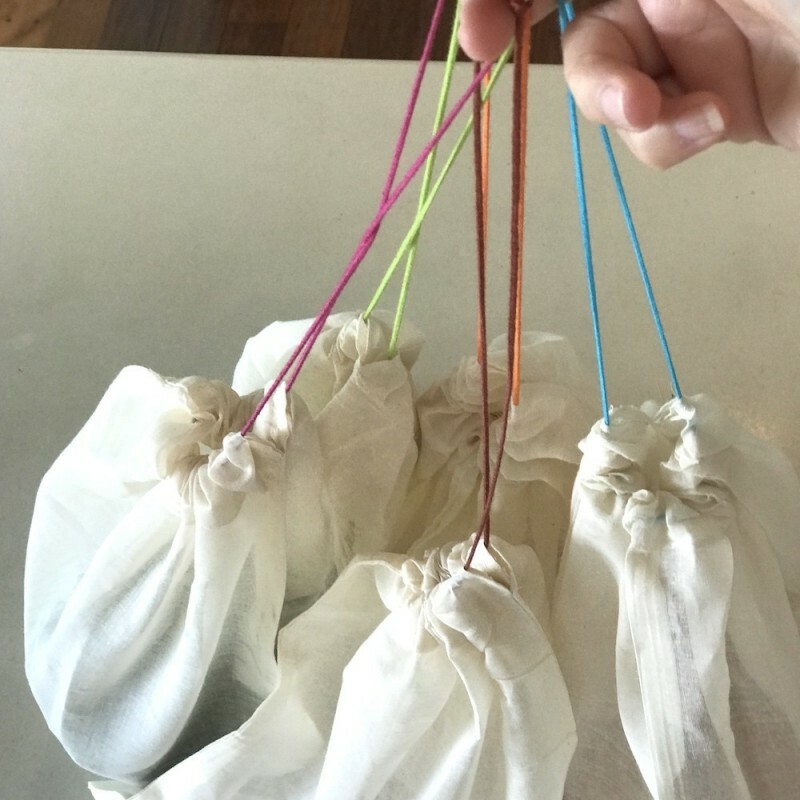 Can be used for many other household and travel uses instead of plastic bags. Biome logo at bottom of bag. Five bags each 30cm x 30cm. Carry pouch 22cm x 17cm. 100% GOTS certified organic cotton. I love that these are made from organic cotton and they keep my fruit and veg draws in order.